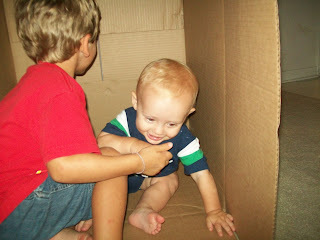 Dawson and Brady playing in a big box. 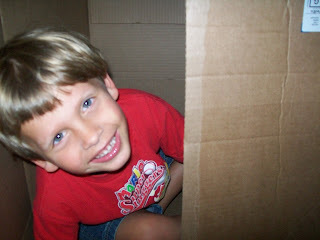 A sweet smile from Dawson as he pops out of the box. Brady looks like he's grown so much in just the months or so I haven't seen him! What fun they are having. Hope you guys are having a fun summer...looks like you are! So sweet! 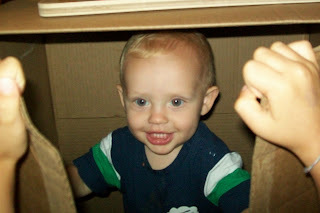 Nothing like just pure fun with something so simple, I love how they play so sweetly together!